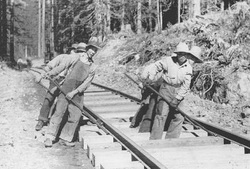 Chinese immigrants came to BC mainly because of the Gold Rush and labour was requested to help with the danger work of the CPR. The chinese were paid poorly and discriminated greatly until recent times. View Chinatown, Vancouver and over 3,000,000 other topics on Qwiki.